Squared style. Choose between Antique Brass or Titanium White over solid cast brass. Low profile - Ideal for mounting on fences and stair risers. Patented. 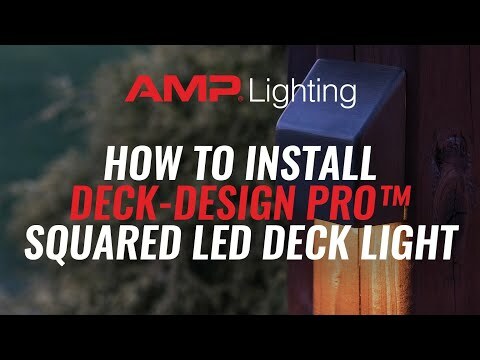 The AMP® Deck-Design Pro™ Squared Deck Light is a cast brass fixture that matches the visual elements of the squared posts and railings to which it is attached. The illumination port is rectangular and projects a roughly oval region of light with very soft edges. This shape is ideal for illuminating pathways, staircases, and other surfaces where light spill needs to be minimized.